We were supposed to start fall soccer with Jackson on Saturday but we woke up to a morning of pouring rain so, like the responsible parents we are, we decided to “fib” to him and tell him that it was cancelled. I’m sure any of you with kids this age can relate, but if things don’t start off on a good note, we’re fighting an uphill battle to get him to like it. Meanwhile, we have soccer again tonight and it’s a beautiful day, so I feel pretty good about our odds of this going well. Yesterday I was excited to co-host a fall fashion and fitness event with Nordstrom and The Barre Code Metro Detroit. We had an awesome turnout and it was so nice to meet lots of Barre Code ladies and readers. If you were there, thank you so much for coming and I hope you had a great time! I keep thinking/hoping things will slow down a bit, but the busy weeks never seem to stop! This week, I’m really excited to be chaperoning a field trip of Jackson’s for the first time and also working on a few fun projects for both the blog and my marketing consulting business. With any luck, I’ll also get my new workout routine started this week. I’m being optimistic, not realistic at this point, but we’ll see how it goes. This time of year feels a lot like the “New Year” we all look forward to after the holidays. For me it always seems like a good time to start new resolutions, habits, routines and try new things. So on the blog this week, I’m focusing on some things I’m doing for a fall refresh! Among other things, I’ll be talking about fall cleaning, some new makeup products and a little bit of a fall closet refresh with a wish list (since I haven’t done one of those in quite a while!). 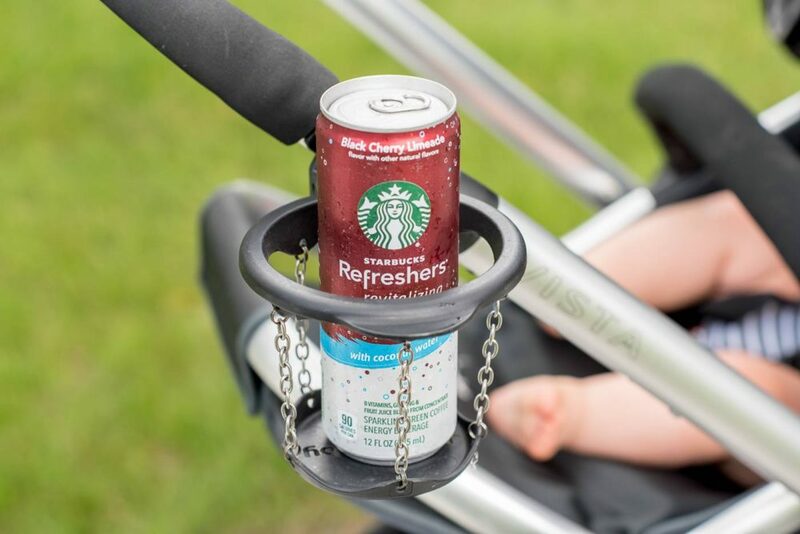 And speaking of a refresh, have you all tried these Starbucks Refreshers? I try to stop drinking coffee by noon, but I always need something more interesting than water to keep me going later in the day. 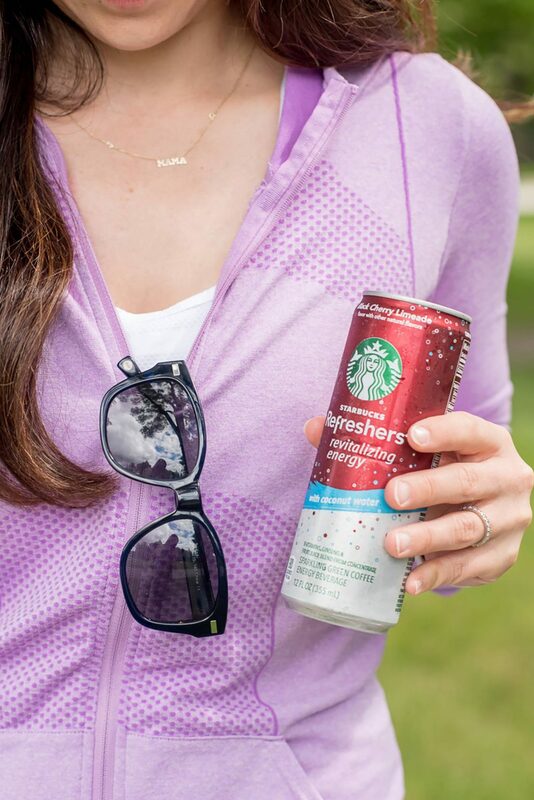 I especially love a sparkling drink in the afternoon and these are lightly caffeinated, so along with coming in fresh and tasty flavors, they give you a little boost. This black cherry limeade is one of my favorites, but I also like the strawberry lemonade and the blueberry acai. They’re available at grocery stores so you can keep them at home or at your office! I am going to have to try those! I totally agree it feels like a new year – I am so excited for fall! This looks so tasty! And I agree with you – it always feels like this is the time of year for a new healthy plan! Love the Refreshers, they’re so good. You look great, love this workout look. The Fall always feel like a fresh start for me too. The Refreshers look delish! Love that stroller – its so cute! I haven’t tried a refresher yet, but think I’m going to now! I try to stop drinking coffee in the PM too, so this will be perfect! Very Berry Hibiscus is my favorite flavor, I’ll have to try this one!